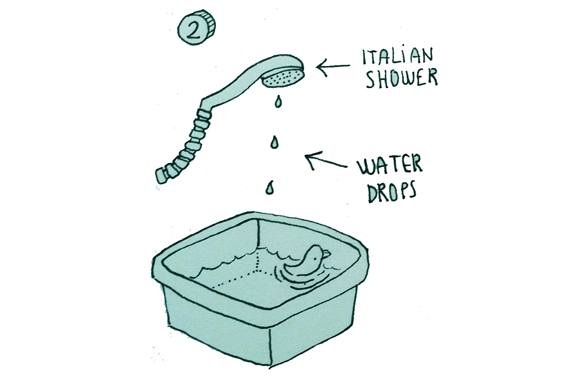 Our Italian shower only gives us a few drops of warm water at a time; showering here takes forever and you easily get cold and annoyed. 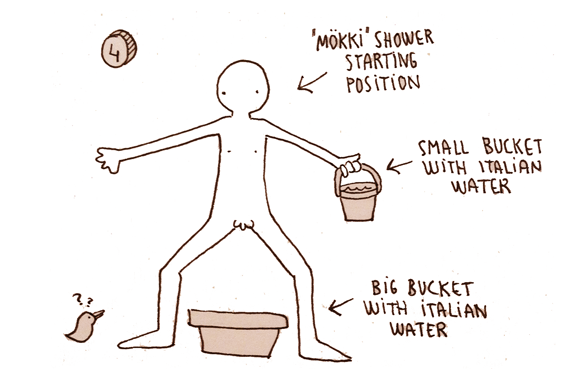 With time we developed a very sophisticated showering system, what I call the “mökki” shower, because it reminds me of the way Finnish people usually shower at their summer cottage (“mökki” in Finnish), after taking a sauna. 1. Get 2 buckets, one big and one small. 2. Take a big bucket and fill it with warm water; this step might take a while. Be patient. 3. 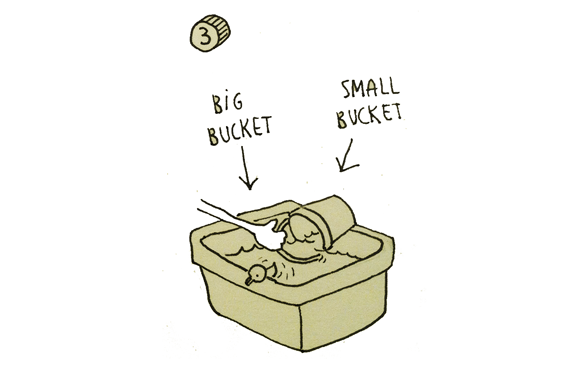 Fill the small bucket with water from the big bucket. 4. 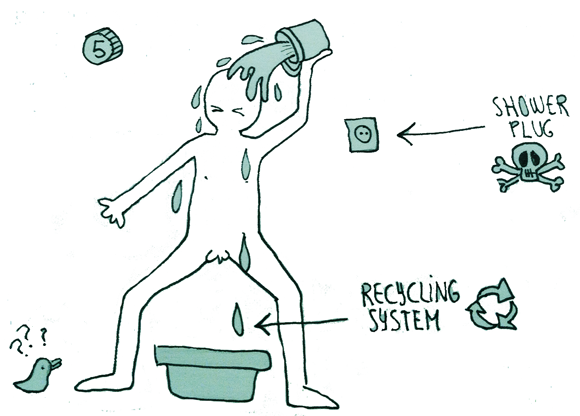 With the small bucket in your hand, place yourself in the starting position. 7. 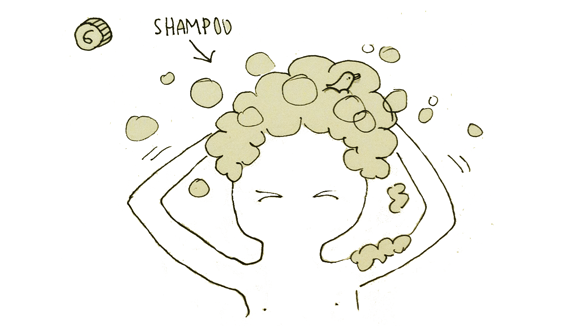 Repeat step 5 until all the soap is gone. 8. Congratulations, you are clean! 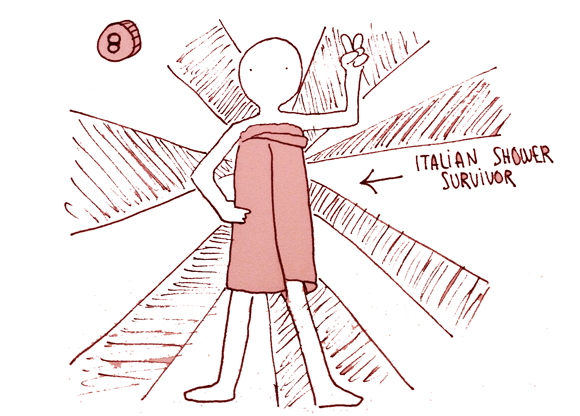 Now get wrapped fast with a towel, do the victory sign and go and get a cappuccino. Torneu cap a casa!!! Va! Que ja n'heu tingut prou!!!! Homeeeee!! Crec que he començat el blog mes per terapia que per una altra cosa. Bueno, ja queda poc per tornar! mil petons! You have forgotten the huge spider coming out from the drain!